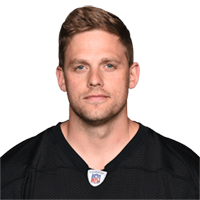 Published: Sept. 7, 2014 at 04:16 p.m.
Pittsburgh Steelers kicker Shaun Suisham nails a 41-yard field goal to win the game. Published: Oct. 21, 2013 at 06:54 a.m.
(:03) (Field Goal formation) S.Suisham 42 yard field goal is GOOD, Center-G.Warren, Holder-Z.Mesko. Published: Oct. 20, 2013 at 07:34 p.m.
Pittsburgh Steelers kicker Shaun Suisham makes a game-winning 42-yard field goal as time expires to defeat the Baltimore Ravens 19-16. Published: Dec. 3, 2012 at 06:53 a.m.
(:03) S.Suisham 42 yard field goal is GOOD, Center-G.Warren, Holder-D.Butler.